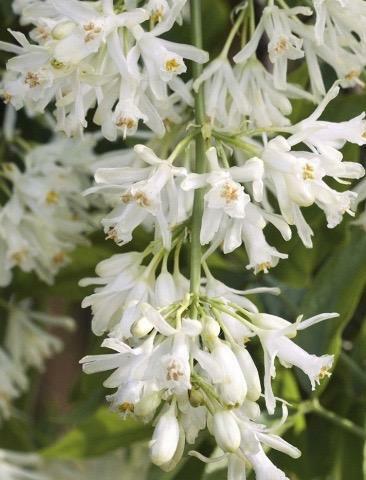 Pendant clusters of fragrant cream-white flowers, April/June. Yellow autumn colour. Common name, bladdernut, seed pods rounded papery bladders. 3m tall. Sun or Semi shade.